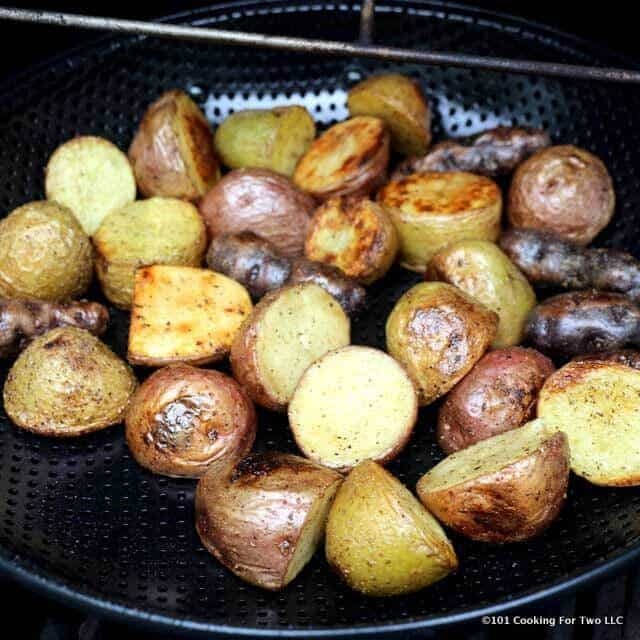 The perfect grilling side dish. 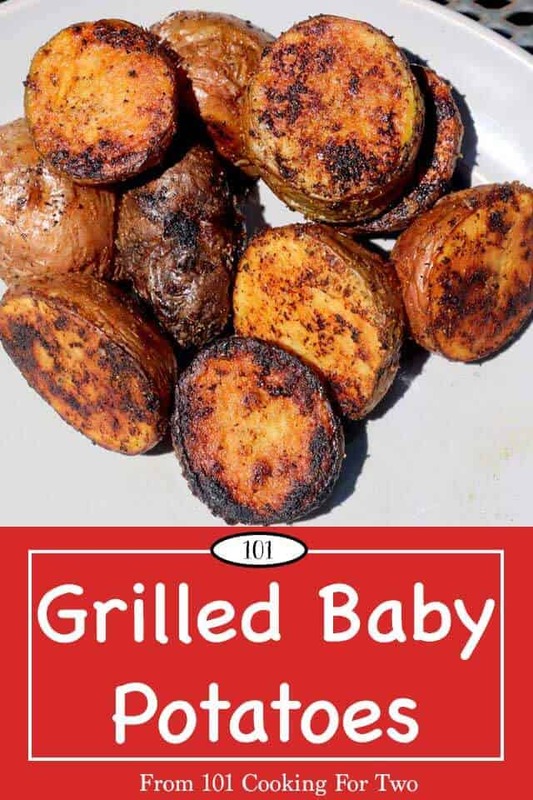 These delicious grilled baby potatoes are crispy and slightly charred. 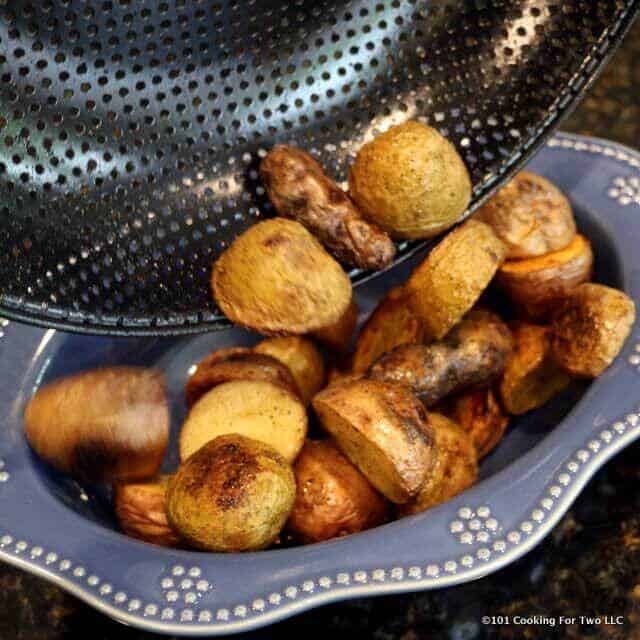 So simple and easy with no precooking, they will become a standard at your house. Summer is here and along with it comes grilling season. I have lots of meat recipes. After all, we are a “meatasaurus” household. But the questions is always, what do we have with that? It is a never ending attempt to avoid the “bag-o-chips.” We do lots of veggies, some salads, but a convenient side dishes has escaped us. Until now. 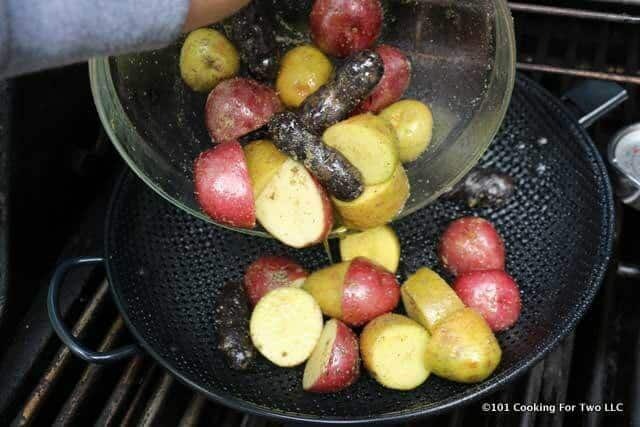 I have done various methods of potatoes on the grill, but most require lots of special attention or prep. They haven’t worked well for me mostly due to cooking flow issues. They were good and simple but just didn’t fit well. 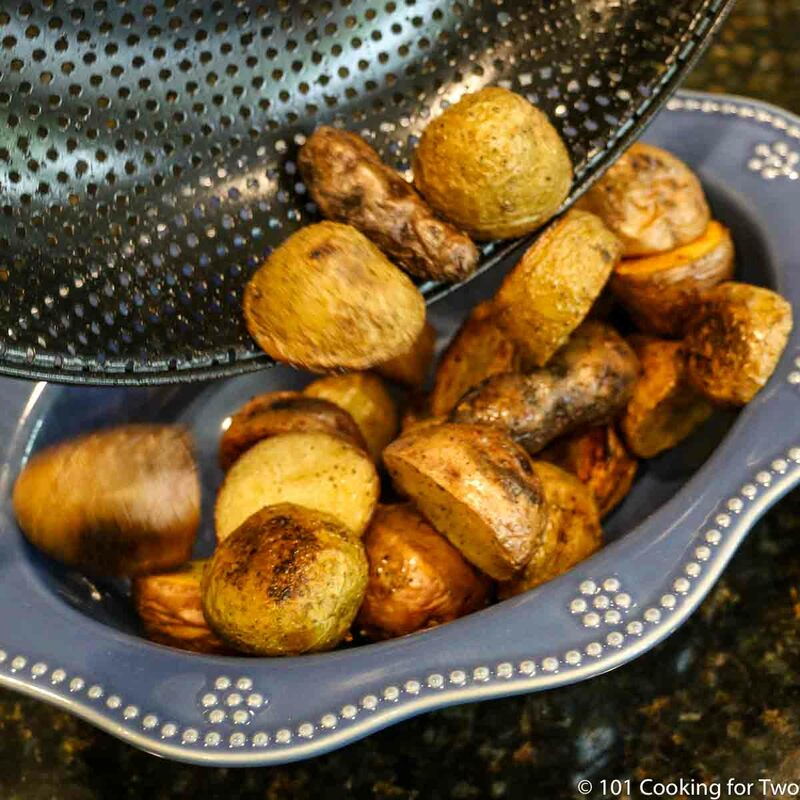 This method flows with the cooking of most meat dishes on the grill. I do love a good side dish. This one we will do over and over. First, let’s talk type of potatoes. 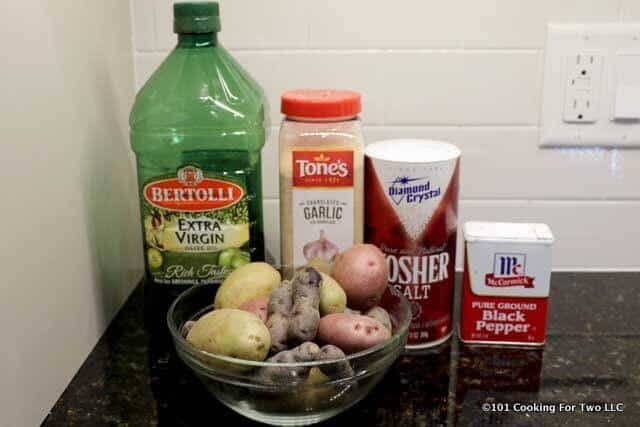 While this would work with almost any potato, I prefer something small with a thinner skin. These come with various names, new potatoes, baby potatoes, or in my picture they are labeled as little potatoes. Next size. You may think they are small already, but not small enough. You are trying to get the center of the piece to cook while not burning the outside all in a reasonable time. I want the size to be no more than 3/8 inch of any part of the potato to the outside of the piece. It might be round; it might be a disk, and more commonly a half of a circle. If this distance is more, the center may not get done. Next the grill temperature. I suggest 450-500 degrees. Add in a nice stir occasionally, and you will be done in about 30 minutes. This is the same temperature and approximate cooking time for a pork tenderloin or many chicken recipes. So there is a method to my madness. Final note. 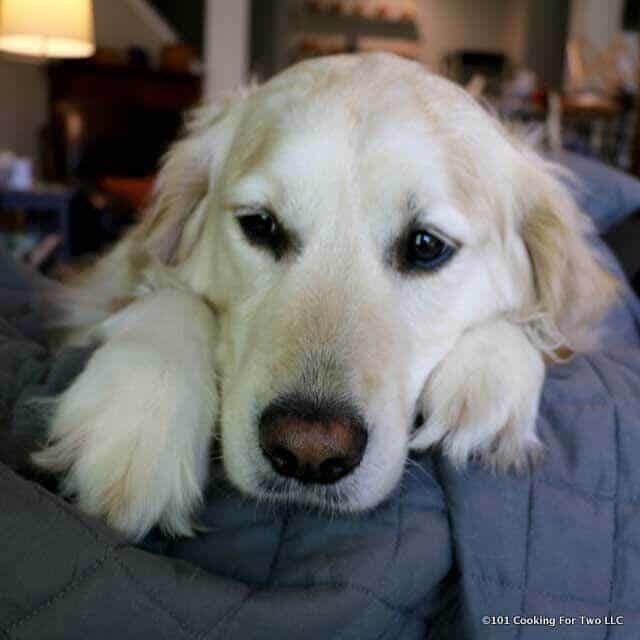 A done baked potato is about 210 degrees internal temperature. You want that creamy inside with no crunch. To me, 210 is the target temperature but 205 is the minimum and less than 200 is just not acceptable. Trying this tonight. Quick questions – would this be indirect or direct heat (using a Weber grill so direct is over the flame, indirect not (obviously!). Thanks! Direct heat. The surface temperature is important. So this works well with chicken and pork but I cook beef at a high temperature and it will now work well if you are running a surface temperature of 550+. Great recipe – thank you! One note: the icons on the left (for pinterest, email, etc.) aren’t off in a margin, at least not using an iPad. They cover up text and photos so I had to keep moving the page to read every thing. On-line iPad facsimiles sometimes lie, despite what developers tell you. Thanks! Welcome to the blog and thanks for the suggestion. I have modified the settings of the plugin some. It is now 1/3 of the size. Hopefully, that helps. I do this recipe over and over during the summer. Thank you for this great recipe! 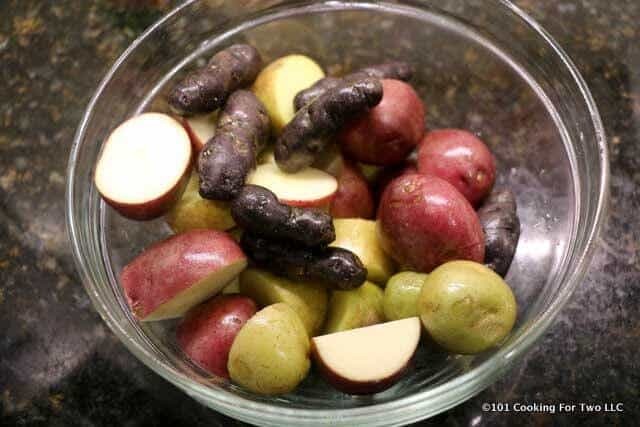 I bought some tiny farm fresh red potatoes and read through all the recipes saying to boil them first. Got out my grill pan, did 3 rounds of 7 minutes, put my sirloin steak on, dropped temp just a touch, 5 and 4 and everything came out perfectly! I did use a frozen garlic cube instead of my ancient powder- just gave it enough time to meld perfectly. Thank you so much for this simple recipe with no soaking skewers or boiling! Great recipe Dan. I was looking for a good side for our BBQ this coming weekend. We’re getting new (small) potatoes here in Sweden now, so I’ll be using those. Thanks. Thanks for the note. All the other recipes boiled the potatoes ahead so I had to do my own technique.